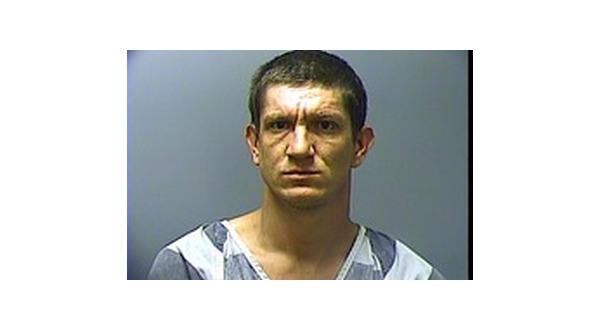 A Gassville man, who was arrested after officers came to his residence to conduct a compliance check on a female probationer, entered a guilty plea to drug-related charges during a session of Baxter County Circuit Court Thursday and was sentenced to six years probation. Thirty-three-year-old Stephen Lee Barnett was reported to be the person leasing the home, and he ended up in custody after officers found a variety of drug paraphernalia scattered throughout the residence. One of the items found was a small zippered case containing digital scales and small plastic bags described as commonly used to package and dispense methamphetamine. The case was easily spotted since it was hanging from a light fixture in the center of the living room. In all there were four people in the residence at the time of the compliance visit in late January. Each of the occupants told officers they had stayed at the home the previous night. The probationer was located, and she admitting living at the residence for two weeks.